Do you have a question about your cat? Have a read through the advice below from Cats Protection vet Sarah Elliott, all covered in her recent live Q&A on Facebook. Don’t forget, if your question is urgent, seek advice from your vet who will be able to examine your cat and will have access to their medical history. Question: My parents’ cat is pretty old and sometimes her back legs give out. She seems happy and has started spending more time outside but as she's 19 we're pretty worried. She's otherwise healthy according to the vet. How can we help her with her mobility? Answer: Thanks for your question. It is really common for cats to experience some form of joint pain or stiffness as they age. This may be the reason she is having difficulties with her back legs. I'd definitely recommend having your vet give her a check over to make sure any pain she may be experiencing is controlled. Cats are generally considered geriatric from around 12 years of age and there are lots of simple steps you can take to ensure the later years of an older cat’s life are comfortable and happy. You may find our leaflet on arthritis in cats helpful and our leaflet on elderly cats. Question: My eight-month-old kitten has watery eyes, is there something wrong with her? Answer: Watery eyes can be a symptom of having painful eyes, so I'd recommend a vet check to rule out pain as a cause. Sometimes this can be 'tear overflow' as a result of having blocked tear ducts. This can happen after a bout of cat flu, and the scarring of the tear ducts prevents normal tear drainage. As tears are salty, they can irritate the skin so I would recommend cleaning your kitten’s face regularly to prevent this irritation (just with water on cotton wool). But definitely start with a vet check. Question: I have a large greedy cat. When he eats, a lot of the time he’ll vomits it back up again. Is this because he’s gulping it down quickly? Vomiting can also be a sign of underlying health issues and it can make your cat feel unwell, so always speak with your vet if you are concerned. 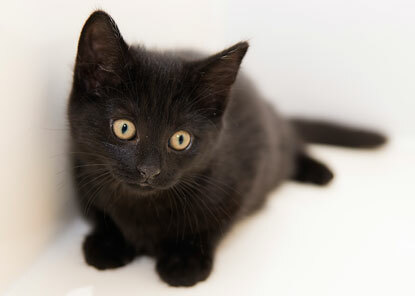 Would you like to ask one of Cats Protection's feline experts a question about your cat? 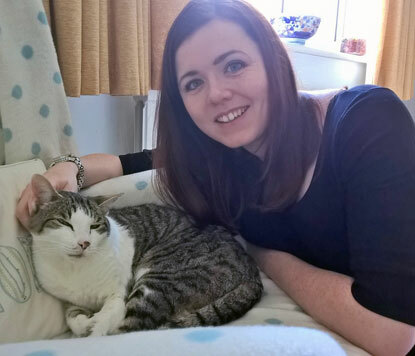 Don't miss the next live Facebook Q&A sessions: Neutering Manager Jane Clements will be chatting on 12 May; Behaviour Manager will be helping you to understand your cat’s behaviour on 25 May; and our veterinary session returns on 9 June. All Q&As are held on Cats Protection's national Facebook page from 2-3pm. See you there!